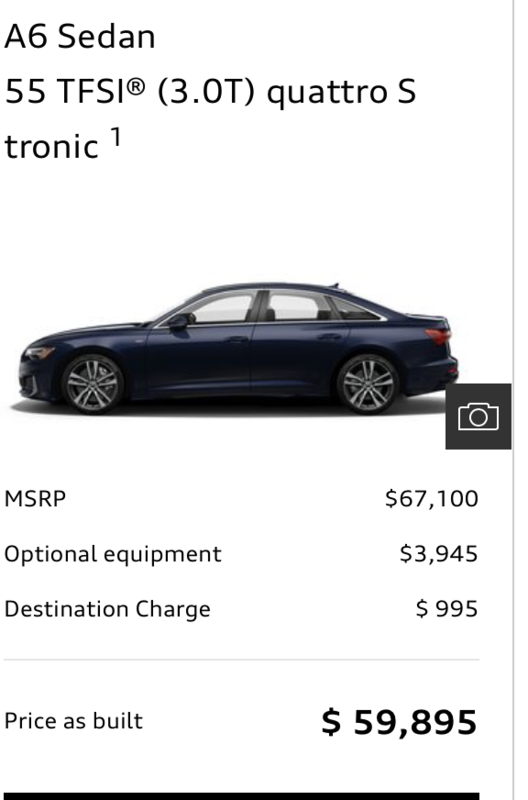 If anyone wants to spec out the new 2019 A6. While I love the price that gives hopefully that is not the only thing wrong with it. There were some options missing that were available on the order guide such as the contour seats and avalon green paint. Do love the discount they are giving though. This "builder" is obviously not ready for prime time. 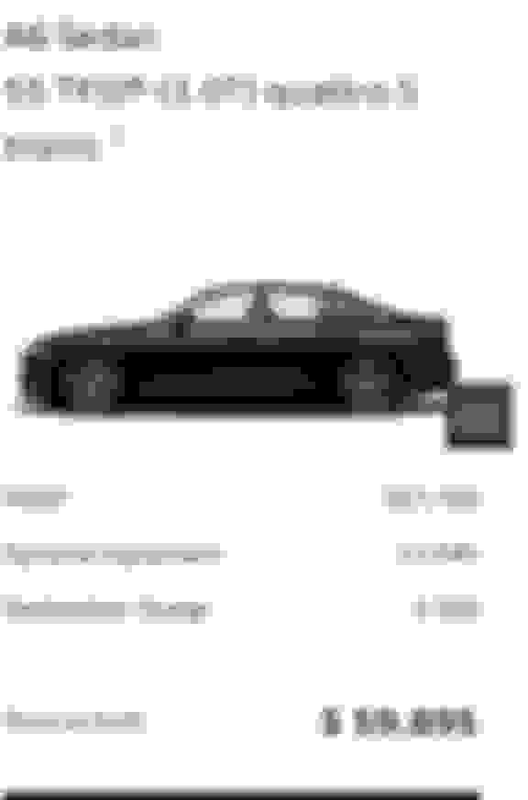 No "build" link yet from the main 2019 A6 product page and significant packages are not included though they are listed on the newly published page (Adaptive Chassis Package, Bang & Olufsen® 3D Advanced Sound System, Individual Contour Seating package). I would also suggest the "discount" is a pipe dream on a newly released model. "Build" button is now available on the 2019 A6 product page but still no pricing on certain option packages such as Adaptive Chassis Package and Bang & Olufsen® 3D Advanced Sound System. The contour seats also seem to be missing. Could be they are still fine tuning things. Its up to the dealer's discretion. Not all of them offer the discount. Still no Adaptive Chassis package though it is mentioned throughout the 2019 A6 pages on Audiusa.com. So frustrating!